To JR Mito station, it will take approximately two hours from Haneda or Narita Airport using either limousine airport bus or JR line. From Shanghai there is a flight to Ibaraki Airport. From Ibaraki Airport, there is limousine bus service to Mito Station. 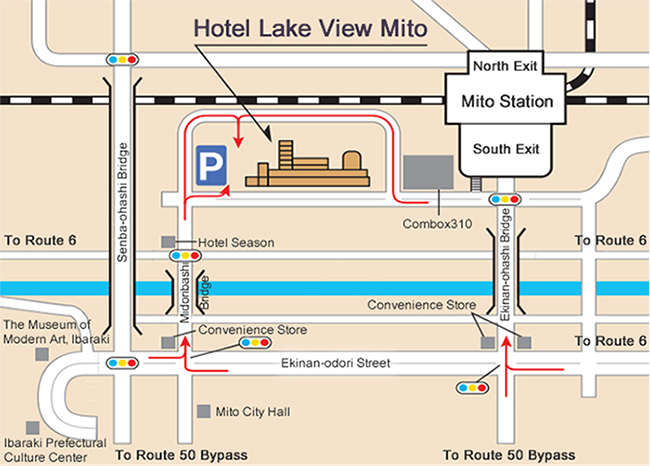 From JR Mito station, it will take approximately 10 minutes (450m) to the “Hotel Lake View Mito” on foot.